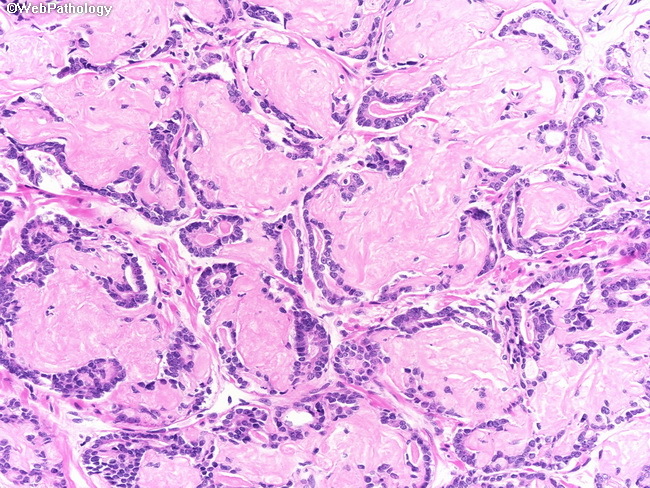 Higher power view of the previous image showing numerous collagenous micronodules in a focus of prostate cancer on a needle biopsy. They consist of relatively hypocellular nodules of pink hyalinized stroma that are present within and around malignant glands, often causing considerable distortion of their shape. They are usually associated with prostate cancers producing abundant extracellular mucin.